Ayurveda is an ancient system of healing from India that is often translated as the ‘Science of Life’. Ayurveda draws on nature as it’s foundation, thereby offering a holistic and natural approach to health, wellness and longevity. Here are some simple and natural tips on how to stay cool this summer, by making a few small changes in your diet and lifestyle. 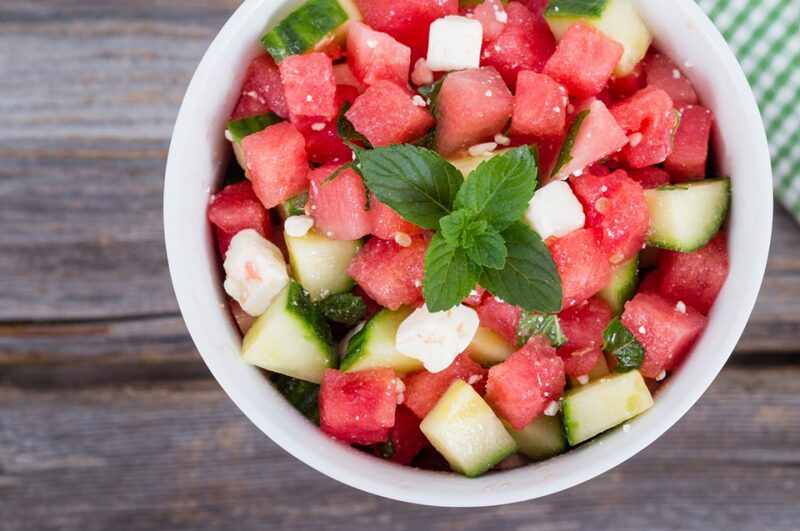 Some of the most cooling foods are: cucumber, watermelon, anything coconut, green vegetables & herbs, aloe vera and basmati rice. Avoid spicy foods, which contain large amounts of chilli, salt, black pepper, ginger as well as fermented foods and alcohol, which are also heating. Exercise or do your yoga practice either early morning or late afternoon/early evening. Avoid being outdoors during midday and especially avoid exercising at this time. Forward bends are the most cooling of all yoga postures, as well as gentle or supported inversions such as Shoulderstand and Legs up the Wall (pictured). Spend time in nature and in natural water sources such as the ocean, rivers and lakes. Not only does this physically cool you down, it also means that you get away from work and the hustle and bustle of your busy life reducing your mental stress and pressure, which tends to make us ‘hot and bothered’. Most importantly, during the summer months, start noticing if there are foods or activities that make you hotter than usual. Ayurveda promotes an individual approach to health, so ultimately, we each know best how to keep ourselves cool, calm and in balance. 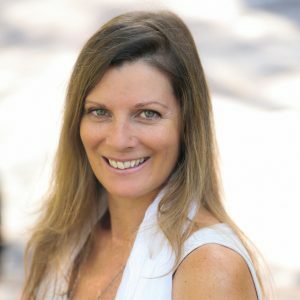 Emma Grant is a mother of two, a yoga teacher and teacher trainer, and Ayurvedic practitioner, specialising in prenatal and postnatal yoga, as well as yoga and Ayurveda for healthy body image. Emma works as a Senior Bliss Baby Yoga teacher trainer in the areas of Prenatal and Postnatal Yoga internationally, and is a co-facilitator of our Bliss Baby Yoga Online Perinatal Nutrition & Ayurveda Extension Module. Emma also teaches regular Prenatal, Postnatal, Mums n Bubs and Mums n Toddlers yoga classes in Byron Bay. Emma Grant has been practicing yoga since 1996 and teaching since 2001. She has maintained her practice of Yoga, Meditation and Ayurveda throughout her 2 pregnancies and into motherhood. She has trained in pregnancy and postnatal yoga, iRest Level 1, and has studied Ayurveda at Naturecare College (Sydney), as well as with Ayurvedic Doctors in India. Emma founded a womens studio in Byron Bay, Red Tent Yoga which she ran and taught in for 8 years, and now continues in the form of local classes and online courses. Emma works as a Senior Bliss Baby Yoga teacher trainer in the areas of Prenatal and Postnatal Yoga internationally, and teaches regular Prenatal, Postnatal, Mums n Bubs and Mums n Toddlers yoga classes in Byron Bay.